A Leka solid roof conservatory is a beautiful light filled room where it's a pleasure to spend time. A calming space that enhances your lifestyle and gives you that valuable extra living space, adding value to your home. But have you considered how you will keep your conservatory cool in the summer and warm in the winter? By choosing an conservatory fitted with a LEKA Warm Roof you will have an conservatory that is a room to be enjoyed all year round. What's more, because it has all the looks of a traditional extension, it will be a seamless addition to the home. The LEKA Warm Roof has been designed and engineered to offer you so much more. It is a truly lightweight tiled conservatory roof with an overall U-Value of just 0.15. This makes the LEKA Warm Roof one of the most lightweight and energy efficient roofs on the market today and offers the perfect balance between energy efficiency and comfortable living. The roof is engineered and installed in layers offering the ultimate in energy efficiency. Not only will this offer savings on your energy bills but will help reduce your carbon footprint. And you will notice you have a quieter room too thanks to the improved insulation that the LEKA Warm Roof offers. For a beautiful and timeless appeal the LEKA Conservatory Roof combines traditional features with state-of-the art engineering. With all the manufacturing integrity of the LEKA Warm Roof, the LEKA Conservatory Roof offers a quick and easy solution for more space whilst giving a touch of sophisticated elegance. 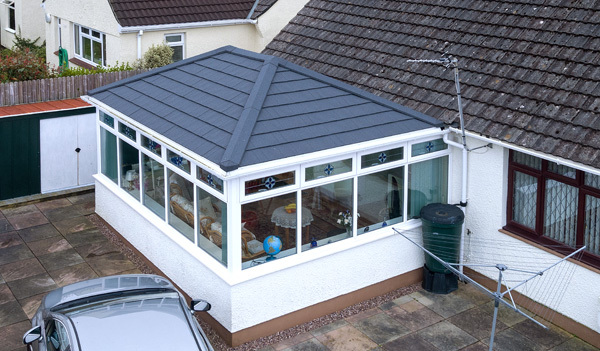 With a choice of colour and size options available you can be sure the LEKA Conservatory Roof will be the perfect finishing touch to your conservatory. Industry Leading U-Value The LEKA Warm Roof has an industry leading U-Value of 0.15. Making the LEKA Warm Roof virtually unbeatable in its Market. Unlike competitor systems achieving only a U-Value of 0.18, we do not just add excessive quantities of thick insulation to overcome thermal bridging – conductivity issues when using aluminium, or moisture absorption when using timber, our system is engineered much better. Every layer and product element is implemented to not just suit its primary purpose, but to be more insulated naturally and have no thermal conductivity elements, making the LEKA Warm Roof one of the most superior systems. 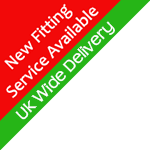 Our Conservatory is supplied as a kit and we offer a fitting service that you will need to discuss with a member of our team as costs vary depending on the size, location of the build. Included in your quotation is a price for a durabase , this prefabricated base once the base pads are in, usually goes up in around 4-6 hrs depending on size and gives an exact foundation to build the conservatory onto. Durabase is highly flexible for all types of builds and can be tailored to your exact specifications to create high walls if required. The durabase system means less mess and waste to deal with and coupled with the speed of installation means that in under 4 days you can have a watertight building. Its backed up with JHAI certification that can make planning or building regulation application a far easier process. In addition it comes with a 25year guarantee. This price will be sent by email when you request your Quote and Free 3D Drawings.